We own a large bouquet fleet to offer you the ride you are looking for. For all your transportation needs, count on our top-class vehicles with professional chauffeurs behind the wheels. Call us at (704) 231 9313 to book. Traveling to and from Charlotte is safe and comfortable with a scheduled ride with Charlotte Limousine. Offering a large fleet, Charlotte Limousine is the solution for all your transportation needs, whether traveling alone or in a large group. Book in advance to avoid the hassles of trying to plan your ride at the last moment. Get driven around by extraordinary chauffeurs, on time, to your destination with safety. Need a luxury limo for a comfortable ride to and from the airport? Choose no other than Charlotte Limousine to ride in style! Our Charlotte limo airport transfer service is of superior quality that you can rely on. Booking with us enables you to ride with professional chauffeurs to and from the airport. Our chauffeur will be waiting at the airport to drive you to the destination. Get in touch with Charlotte limo experts to perfectly cover your ground transportation needs. We are at work round the clock to make your ride as convenient and comfortable as expected. Choose from our fleet for a luxury ride around the town to popular destinations, restaurants, and attractions. Cruising around the town, hitting the night club with friends, or bachelorette parties happen luxuriously in well-managed limos. 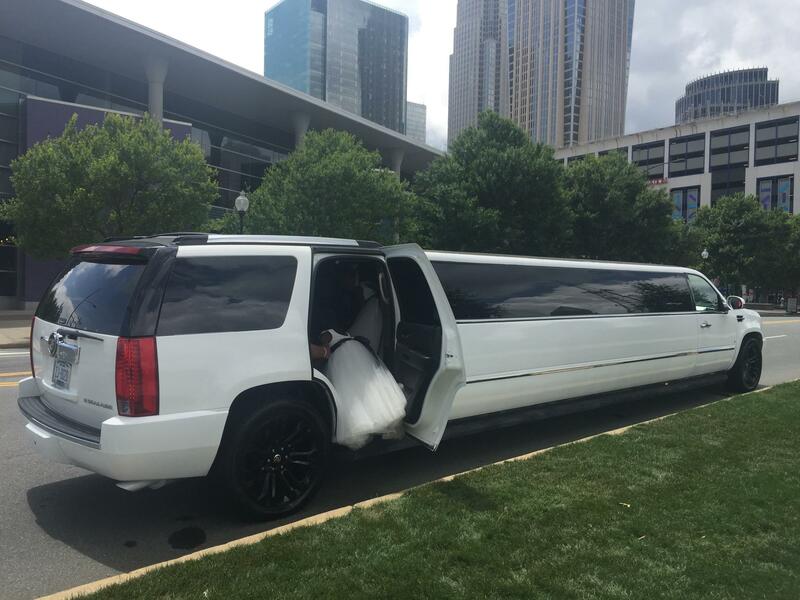 Charlotte Limousine meets and exceeds your expectations in offering party limos for special events. Hire one from our fleet to fit your needs of party transfers in the town. We are committed to provide more than just limousine transportation, we want you to experience the luxury of being driven around in a well-equipped limo by the most professional chauffeurs. Feel the luxury of Charlotte Limo and the chauffeur facility for the most memorable event of your life. In addition, we have an astonishing fleet for prom to give you an unforgettable ride of your high-school event. Specialized in Limousine Service Charlotte NC Areas. Make a booking in advance to avoid last minute rush. Call at (704) 231 9313.